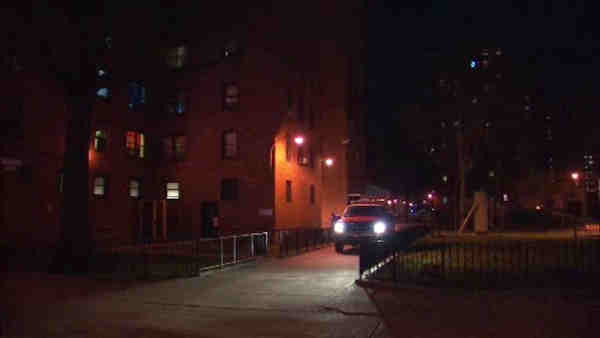 LOWER EAST SIDE, Manhattan (WABC) -- Police responded to a call of a domestic assault at 30 Avenue D on the Lower East Side Friday night. When they knocked on the apartment door, someone opened the door and a pit bull charged at one of the officers, biting him. His partner fired one round, killing the dog. There is no word on whether anyone was arrested in the incident.